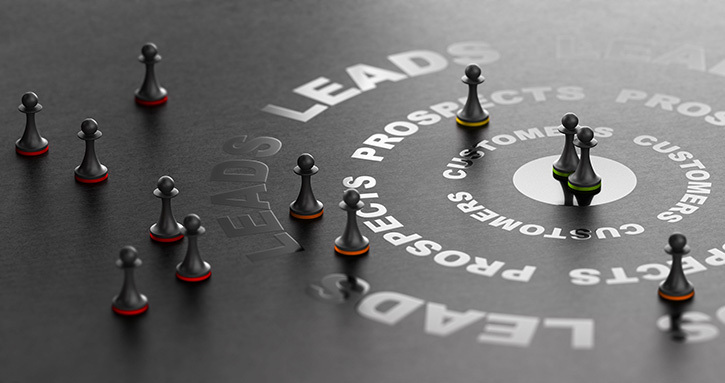 There are two important aspects of every lead generation strategy; inbound and outbound. Let’s talk about why every business should have a lead generation strategy! Turning a stranger into a customer. That’s the goal for lead generation. You are the one that initiates all the contacts with outbound marketing. When it comes to the inbound approach, you put quality content out there and wait for the public to then initiate the contact with you. It’s all about finding unique ways to attract people toward your business. It’s about you being found. This approach costs less, but takes a great deal of time. It’s for the long term though and can lead to quite a few opportunities over time. It incorporates a number of marketing skills: involving the internet, email, social media, search engines, and SEO. Graphics and design elements are integral parts of it too. You place a trail of information and incentives for others to follow towards you and your company. They seek you because you offer something of value that they are already interested in. They are your target audience. What you have to offer would benefit them. What you channel, they have an interest in it. It’s valuable. You choose your platforms carefully and add elements that will link them back to you. By producing authoritative content, you build credibility within the marketplace. In time, customers view you and your company as knowledgeable and helpful. You create and offer content for a distinct audience, your targeted one that is driven by choice and perhaps interactivity. Consumers embark on a journey when attempting to find solutions to their problems. They generally seek information for each part of that journey. In the beginning, they are familiar with their problem and solutions that have potential. Mid way they begin comparing some possible solutions. In the end of this journey, they give their due diligence to make a final decision. It isn’t uncommon for consumers to conduct twelve searches before being on your specific brand’s site. Generally, eighty-one percent will research online before making that purchase or that appointment. In multiple forms, your quality content makes all the difference. In order to expand a business, you need new clients, new customers. Just how do you go about accomplishing that? That’s what lead generation is all about. There is quite a process from knowing nothing about a business to eventually becoming a promoter of it. This begins with strangers becoming visitors that develop into leads. If everything evolves well, those leads turn into customers. Please and satisfied clients/customers want to spread the word and become a part of referral marketing. Through their conversations with others, whether that is in person, or on social media, they become promoters. Due to their connection, trust, and loyalty they highly recommend it and often provide testimonials. It is now personal. There are different routes that lead generation can take. More specifically, there are two types of channels: inbound and outbound. They both have the same goal, which is to generate leads for business. How they work is very different. Is one better than the other? Let’s zoom out here, outbound that is. This channel has a big impact of the budget in efforts to reach out to audiences. It may include billboards, print ads, television and radio advertisements. It is generic and targets the masses. The marketing intent is clearly to sell and an apparent pitch is a part of the plan. This budget may include the purchase of lead lists. These are people you don’t know. In addition to this, these people don’t know you either. They didn’t seek you. The outbound approach with communication is one way. The business decides when and how to engage with the audience. In addition to mail, print, and media, it may include conferences and calls. This can be tough. Should you reach out to others needing what you have to offer, it can be beneficial. These cold calls can be interpreted as an interruption into people’s time. They can be viewed as disruptive and down right unwanted. In addition to this, calls could be flagged as spam. Here providers inform other providers and being placed on a blacklist could result. Should this happen, it wouldn’t benefit reputation either. Emails could become undeliverable too. As a business, how do you promote it and gain new customers? Today, we live in a very competitive world. Just how do you rise above your competitors, stand out, and bring business in your direction? It all has to do with building your brand, obtaining leads. Identifying consumers that would have an interest in what you offer is important. They have the potential to become customers for your business or service. As you find people that would find value in your product, or service is one thing, obtaining their contact information is the next. It helps to accomplish this when you offer something in exchange for it, something that would benefit them. It might involve coupons, free trials, job applications, online content, or blogs. Finding the best way to remain in contact with them is important until they are ready to make that decision in your direction. It’s time well spent. It’s your future. Web Fox Marketing is a website agency in Livonia, Michigan SEO as well as digital marketing experts. We serve our surrounding communities near Livonia, Novi, West Bloomfield, Farmington Hills, Ann Arbor and beyond. In addition to digital marketing services, we are knowledgeable in search engine marketing advantages, Google ads marketing (PPC), SEO services, social media marketing, and much more! A website is the beginning, as success in our digital markets is dependent on local ranking prominence and maximum exposure to diverse marketing channels. Our Michigan lead generation agency is more than glad to assist you with any questions you may have. Call us now and let’s get started building your web presence!